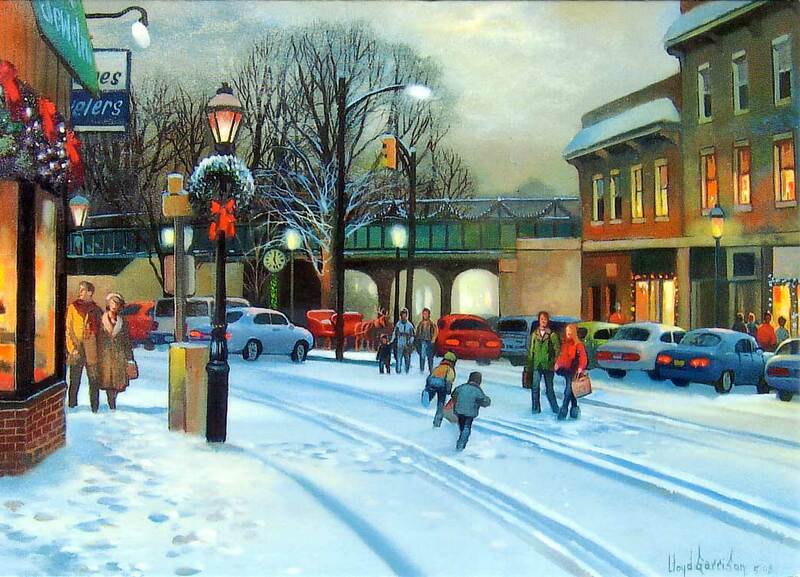 Making Holiday Memories – New Jersey artist Lloyd Garrison has prepared a pair of new holiday cards featuring paintings of the area. This painting showcases modern-day Cranford. Garrison says that the image brings back memories of the old-time towns. “They had privately-owned stores and the owners knew your name,” the artist says. “I think we all miss the home towns and dread the malls.” Garrison’s other holiday card for 2009 features Walt’s, a favorite hang out for Rahway and Linden residents in the 1950s and 60s. For information about purchasing the cards, call Lloyd’s Gallery at 609-918-1776 or visit www.lloydgarrison.com.